I saw this darling scarf on Pinterest, which led me to the Sewing In No Mans Land blog, where I found the tutorial. I found my material in the remnant bin at Joann's (score!) so my fabric was not as long as I would have liked. 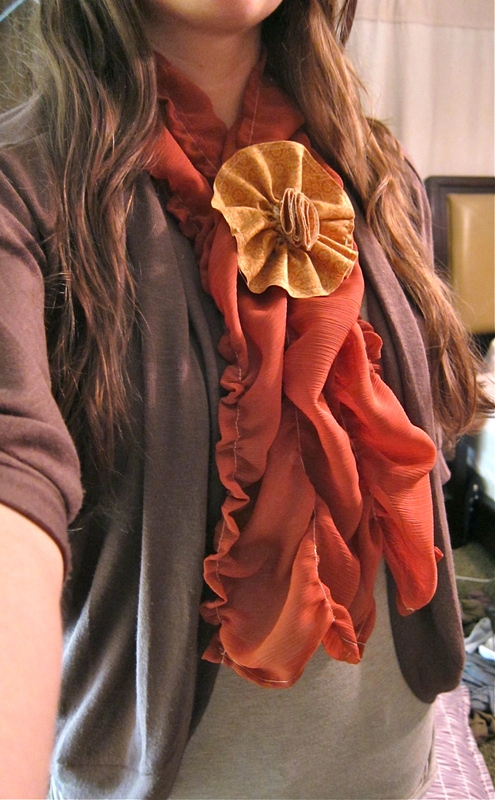 If you want to wrap the scarf around your neck, I would recommend a piece around 2 yards long. 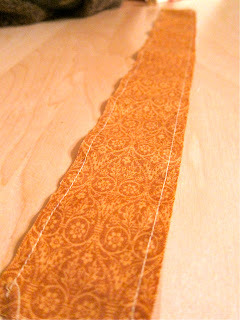 Take your long strip of fabric and hem up the edge using a gathering stitch. Because the fabric is so lightweight, it will automatically gather. 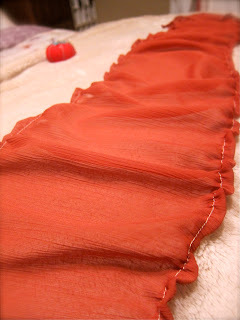 If you want it even more gathered, do so now before stitching the ends. And thats it for the scarf! SO easy. Now onto the flower. 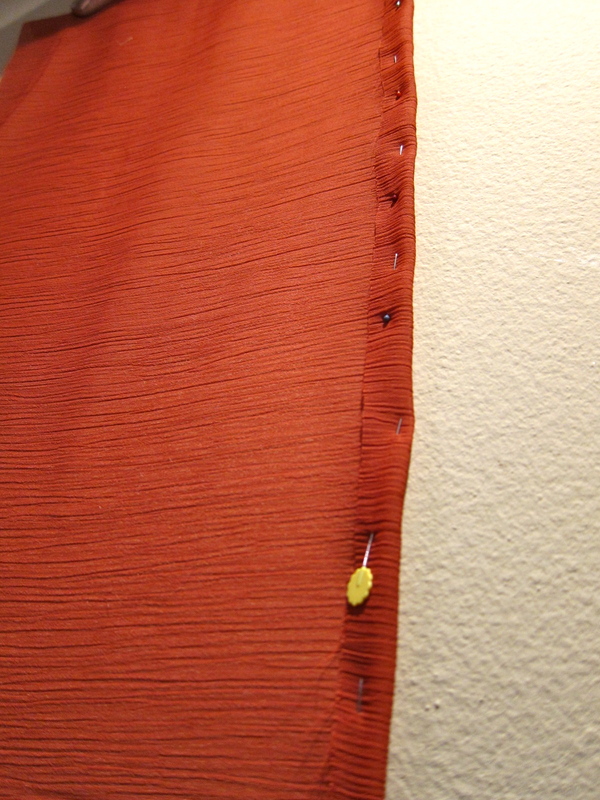 Cut a long string of fabric and do a gathering stitch on at least one side (I stitched both sides). Gather one side, so begins to look like a flower. Stitch up the ends. 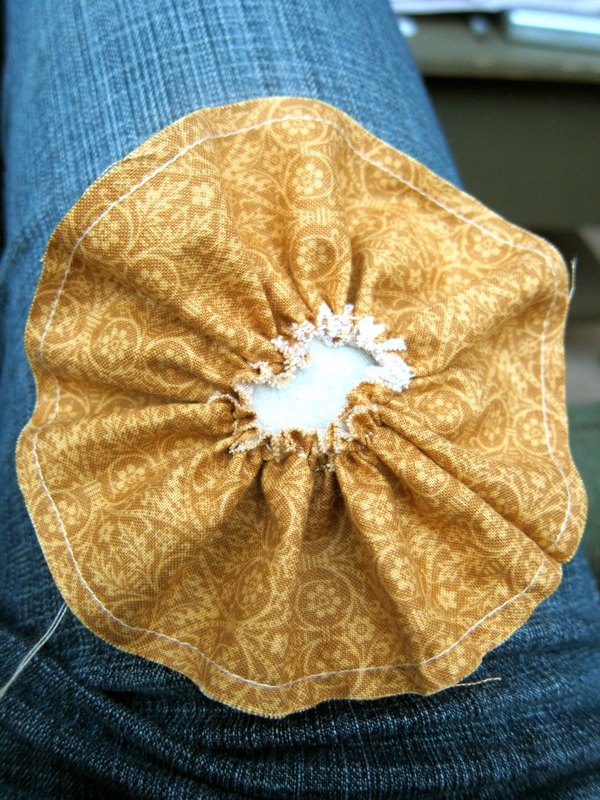 Now fold your new, layered circle in half twice, getting a quarter of it. 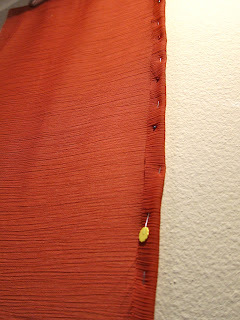 Then take a needle and thread and hand sew the bottom corner, going through all circles. And vuala! The center of your flower is complete. If you'd like, you can glue the wrong sides together, so they don't show as much. Then flip it over, and place the center petals where you would like them. Sew that on, and your flower is complete! Put your scarf on and determine where you want your flower. Sew that on and you have a fabulous new scarf! Keep in mind that this scarf will not keep you warm. 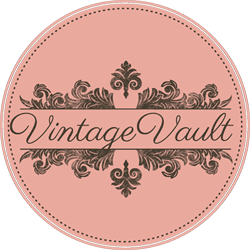 It is purely for fashion and fun! Plus, you can get away with it when it starts to warm up! This is so beautiful! I love it! And I love the colors! I wish I had one just like the one you made! Love it! so pretty, I love the colors too! SO pretty! 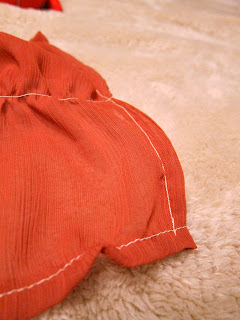 I need to learn how to use my sewing machine! Thanks so much for joining in with my weekly Pinning & Singing party. I hope you will be able to link up another Pinterest inspired post soon! This is SUPER cute! I'm sharing this on my facebook page tonight! Thanks so much for sharing with Feature Friday FREE-FOR-ALL! Too adorable, and a huge money saver! I am hosting my 2nd link party, and would love for you to add this along with anything else you like! 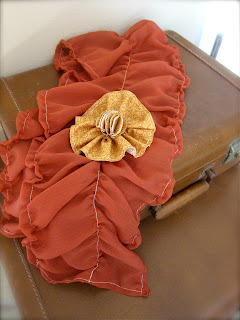 i soooo wish that i could sew like this!! i totally want one! thanks so much for linking this up to my party! i hope to see you again soon!